In response to a survey conducted by J.D. Power, thousands of original owners of 3-year-old vehicles share what’s gone right and what’s gone wrong with their cars, trucks, SUVs, and vans during the prior 12-month period. J.D. Power gathers and analyzes the data, drawing conclusions that are reported in the annual Vehicle Dependability Study (VDS). To simplify the VDS findings in a consumer-friendly way, J.D. Power creates overall dependability ratings based on a 10-point scale. This allows car shoppers to quickly determine whether a particular make and model is dependable or not, and also makes it easy to compare vehicles side-by-side in order to understand which models are most likely to provide a trouble-free ownership experience. This guide contains the most dependable family-size cars originally sold for the 2016 model year. Each vehicle receives a 9 or a 10 out of 10 for overall dependability, and we specifically note those models that received an award in this year’s VDS. The most dependable family cars are listed in alphabetical order. 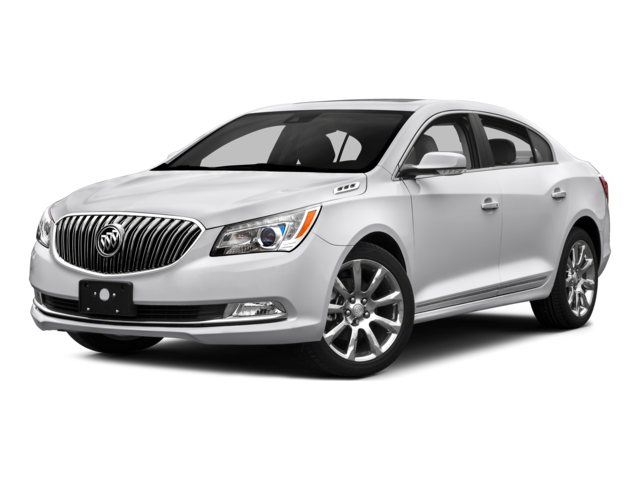 A full-size sedan with a compact car trunk, the Buick LaCrosse is dependable if not particularly useful. And if you get the mild hybrid eAssist drivetrain, the cargo area shrinks even more. In 2016, the eAssist system came standard on Base and Leather trims, while other LaCrosse models had a more satisfying 3.6-liter V6 engine churning out more than 300 horsepower. All-wheel drive was optional with the V6 engine. Changes for 2016 included a Sport Touring trim package and an improved infotainment system with Apple CarPlay. The 2016 Buick LaCrosse receives a Vehicle Dependability score of 10 out of 10, and receives an award in the Large Car category. Small by midsize sedan standards, the 2016 Regal is a rebadged Opel equipped with a 182-hp 4-cylinder or a 259-hp turbocharged 4-cylinder engine. An AWD system was an option with the turbocharged engine, and the sporty GS trim level offered an available 6-speed manual gearbox for enthusiast drivers seeking to leverage the Regal’s European driving dynamics. Like other Buicks did in 2016, a new Sport Touring trim package was new. The Regal also received an improved infotainment system featuring Apple CarPlay and Android Auto. The 2016 Buick Regal receives a Vehicle Dependability score of 9 out of 10. Chevy’s positively huge family car boasts a giant back seat, an enormous 18.8 cubic-foot trunk, and an impressive dependability rating, among other appealing features. Trim levels include LS, LT, and LTZ. For 2016, a new Midnight Edition trim package added special wheels, blacked-out exterior trim, and other sporty styling cues. Buyers chose between a 196-hp 2.5-liter 4-cylinder engine and a 305-hp 3.6-liter V6 engine. All Impalas are front-wheel drive and have a 6-speed automatic transmission. New for 2016, Apple CarPlay and wireless device charging became available, and leather was a new option with LT trim. The 2016 Chevrolet Impala receives a Vehicle Dependability score of 10 out of 10. With design and engineering dating to 2008, Chrysler had ample time to work the bugs out of its Town & Country minivan, which helped it to make this most dependable family cars list. Equipped with a tried-and-true 283-hp 3.6-liter V6 engine and a 6-speed automatic transmission, the Town & Country provides seating for seven passengers and Chrysler’s unique Stow ‘N Go center seating, which drops into the floor for easy maximization of cargo volume. For 2016, a new Anniversary Edition trim package amounted to the only excitement. The 2016 Chrysler Town & Country receives a Vehicle Dependability score of 9 out of 5. Ford’s midsize sedan came in a wide variety of configurations for 2016. A mix of normally aspirated and turbocharged 4-cylinder engines, as well as a choice between front- and all-wheel drive, proved popular with buyers. The car was also offered in hybrid and plug-in hybrid variations. For 2016, Ford offered a new Appearance Package for the base S trim level. Other trims included SE and Titanium, the latter an upscale variant that made the Fusion nearly as opulent as a Lincoln. The 2016 Ford Fusion receives a Vehicle Dependability score of 9 out of 10. Honda’s popular Accord came in 2-door coupe and 4-door sedan body styles and a wide variety of trim levels. Most had a 185-hp 2.4-liter 4-cylinder engine paired with a manual gearbox or a continuously variable transmission (CVT). A 278-hp 3.5-liter V6 engine was available, with a manual or automatic transmission. For 2016, the Accord got freshened styling, and most trims received a new infotainment system with Apple CarPlay and Android Auto. The company’s suite of driver assistance and collision avoidance systems was also available on nearly every version of the 2016 Accord. The 2016 Honda Accord receives a Vehicle Dependability score of 9 out of 10. One year after a complete redesign, the Sonata lineup expands with the addition of hybrid and plug-in hybrid variants. They’re more efficient alternatives to the existing family of normally aspirated and turbocharged 4-cylinder gasoline engines. Additional updates included more standard equipment, including a touchscreen infotainment system with new Apple CarPlay and Android Auto functionality. Hyundai also modified the suspension tuning in an effort to improve handling. The 2016 Hyundai Sonata receives a Vehicle Dependability score of 9 out of 10. A midsize sedan offered in S, SR, SV, and SL trim levels, the 2016 Nissan Altima received a freshening for 2016 that updated the car’s styling, added the sporty SR trim level, and introduced more sophisticated driver assistance and collision avoidance systems. Most 2016 Altimas came with a 182-hp 2.5-liter 4-cylinder engine paired with a CVT. For 2016, the excellent 270-hp 3.5-liter V6 was restricted to SL trim. Either way, the Altima delivered dependability. The 2016 Nissan Altima receives a Vehicle Dependability score of 9 out of 10. Toyota’s full-size car is equipped with a 268-hp 3.5-liter V6 engine or a 200-hp gas-electric hybrid drivetrain marrying a 2.5-liter 4-cylinder engine with an electric motor and a battery pack. Hybrids were rated to get 40 mpg in combined driving, an impressive number given the car’s accommodating cabin. For 2016, Toyota dropped the sporty versions of the Avalon in favor of a new value-rich XLE Plus trim level. Wireless smartphone charging became available, as well as additional driver assistance and collision avoidance systems. The 2016 Toyota Avalon receives a Vehicle Dependability score of 9 out of 10. There is a 2016 Toyota Camry for just about anybody. For a low price, stick with L or LE trim and the standard 178-hp 2.5-liter 4-cylinder engine. The XLE trim adds a little bit of luxury, while the SE and XSE trims are genuinely sporty. A 268-hp 3.5-liter V6 engine is available for the XLE and XSE, and the Camry Hybrid supplies 200 hp along with an EPA fuel economy rating of up to 41 mpg in combined driving. For 2016, Toyota made no changes to the Camry, aside from a new Special Edition trim package for the SE trim level. The 2016 Toyota Camry receives a Vehicle Dependability score of 9 out of 10. An unsung hero in the family sedan class, the Volkswagen Passat is a dependable alternative to traditional choices in the segment. Trims include S, SE, SEL, SEL Premium, and a sporty new-for-2016 R-Line version. Most have a turbocharged 1.8-liter 4-cylinder engine generating 170 hp, while the SEL Premium gets a 280-hp 3.6-liter V6. For 2016, Volkswagen dropped the Passat’s optional turbo-diesel engine, and the car received a minor freshening including design detail changes, improved driver assistance and collision avoidance technologies, and upgraded infotainment systems. The 2016 Volkswagen Passat receives a Vehicle Dependability score of 9 out of 10.